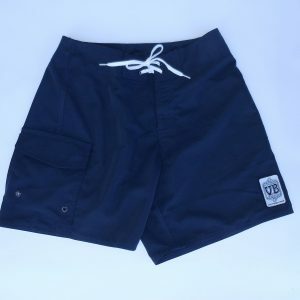 Vitamin Blue 18″ mens board short made in USA. 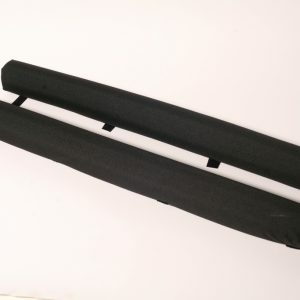 Color black, 100% nylon with triple stitched seams. Also a 1.5″ Velcro fly, nylon tie cord and back pocket with Velcro flap. And a VB patch sewn on the left leg. 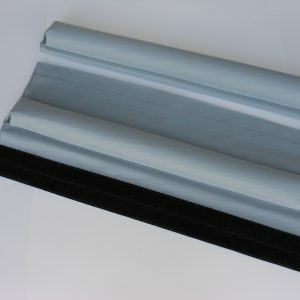 Additionally nylon is a very durable material that dries fast. And these qualities make this material perfect for water board sports activists. 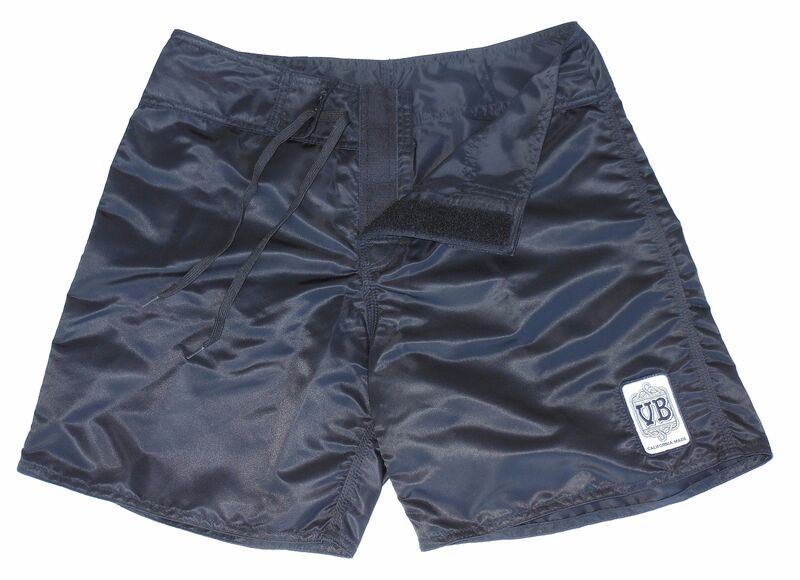 Furthermore our classic board short length is above the knee. 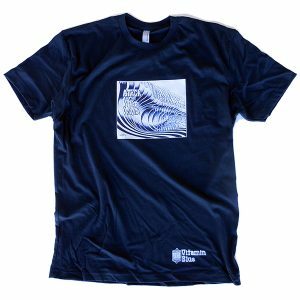 Most of all we design and construct our quality surfwear with function in mind. 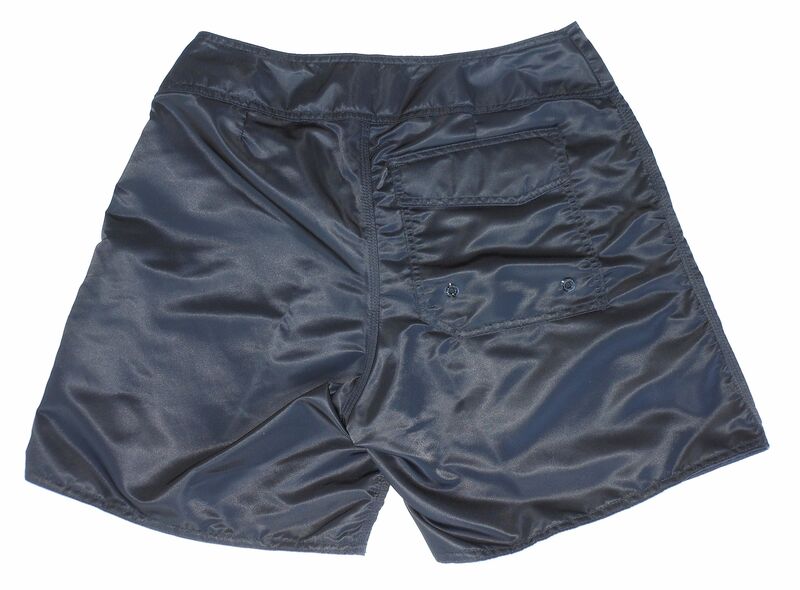 Our goal is to make a basic, long-lasting, superior mens board short. Also all our mens surfing trunks are handmade with pride at our factory in Costa Mesa, California, USA. Very few surfwear companies make their men’s boardshorts in the USA. And less than a handful of companies hand sew their boardshorts themselves. We take great pleasure in being among a small number of surf companies to hand make their own mens board shorts! Surf trunks have evolved over the last fifty plus years. Mens board shorts became an individual solutions born out of the need to address requirements for a garment that was increasingly used specifically for the activity of surfing. Furthermore quick-drying boardshorts have become an essential quality. And generally made from strong and smooth polyester, nylon or pre-washed cotton materials. 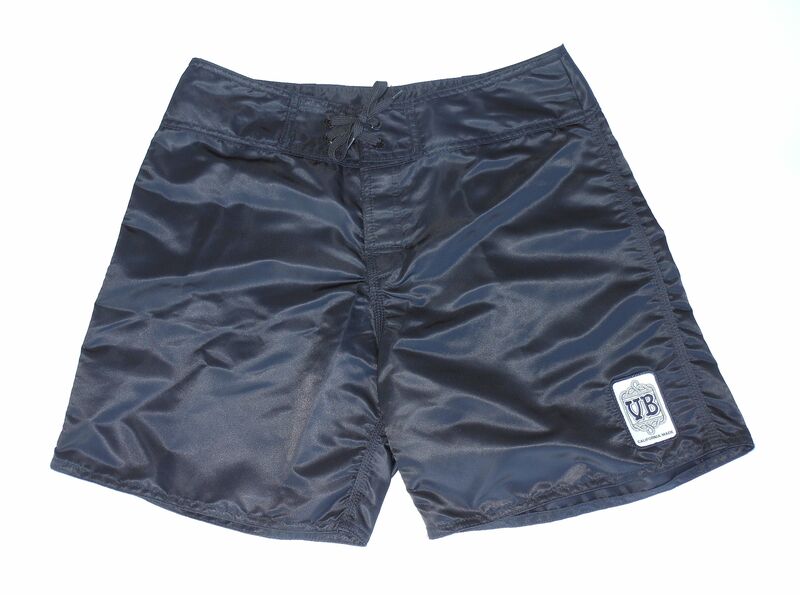 Also board shorts traditionally have no lining, unlike traditional swim shorts.